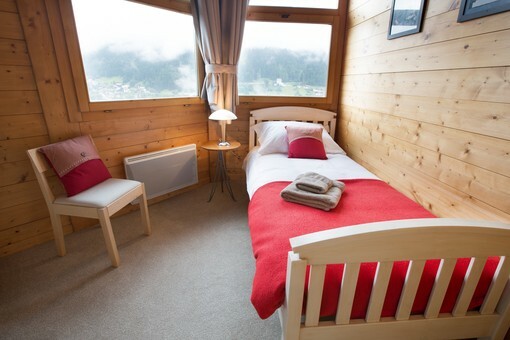 Plenty of space and wonderful panoramic views from the large glass windows in the chalet made for a great stay. 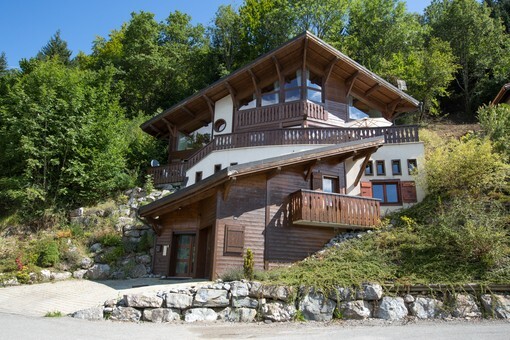 James C.
Chalet Robri is a stunning architect designed chalet, with very spacious accommodation split over 5 levels. 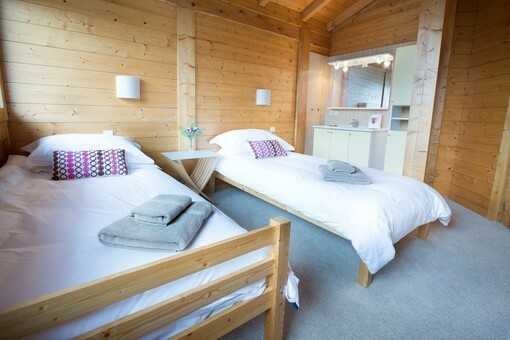 The chalet is perfect for families or groups sharing that want plenty of space and privacy. 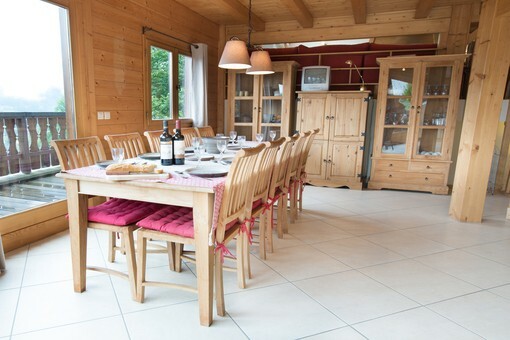 It is located in the hamlet of l’Elé, on the edge of Morzine, and just a 15 minute walk from the Super Morzine telecabine. This is a lovely peaceful residential area, great for families. 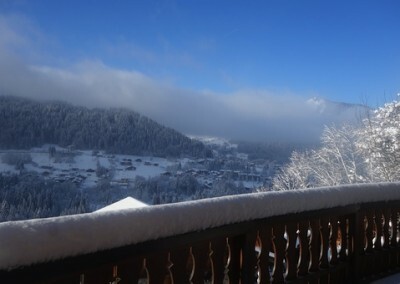 Morzine is still easily accessible on foot, or Montriond, with a shop, gastro pub and restaurant, is just 5 minutes walk. The bus stop is 250 metres away, at the foot of the road. 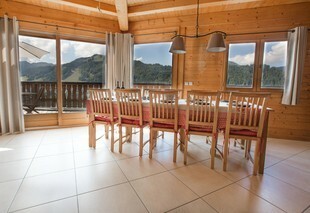 The main chalet living areas are situated on the 3rd & 4th floors. The open plan kitchen and dining area has floor to ceiling windows affording magnificent views over the valley. 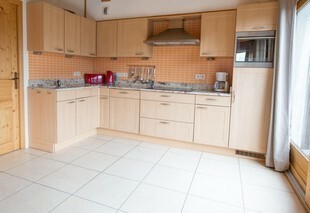 The kitchen is fully equipped with all appliances you’ll need, including a Nespresso coffee machine. The adjacent dining area can seat 12 people comfortably. With stunning views in all directions, you’ll want to spend all night over dinner! The huge glass doors open out onto a large balcony with space for outdoor dining, or an evening drink to take in the beautiful sunset over the mountains. Stairs lead to the 4th level and the sitting room with deep comfy sofas and a large log fireplace. A lovely place to relax with a steaming hot chocolate and a good book in front or a roaring fire. There is also WiFi internet, french TV and & DVD player, and more breathtaking views. The atrium entrance on the ground floor leads to the laundry room, with lots of space for storing skis and drying wet kit. A second laundry room with washer and tumble drier is on the 3rd floor. Outside there is parking directly in front of the chalet for 2 cars. 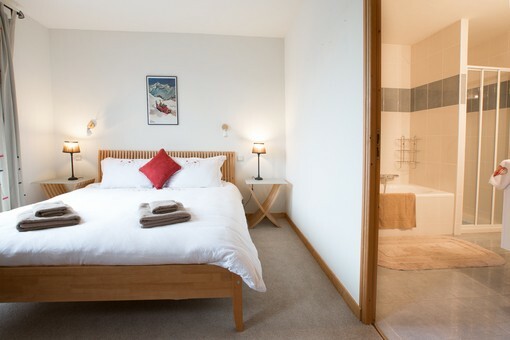 The family suite is situated on the first floor and consists of a double bedroom, an ante room with bunk beds, a bathroom and a small kitchenette. 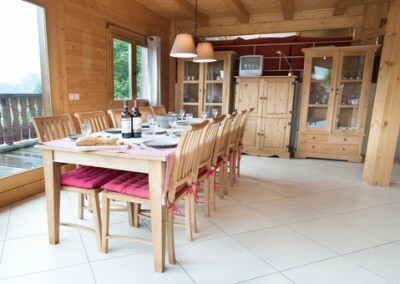 This makes Chalet Robri an ideal space for a family or grandparents wanting a quiet space. Keep family peace and harmony by making sure everyone can get some quiet time when needed! Stairs lead up to the second floor and a further double bedroom with ensuite bathroom and a private balcony. On the 5th floor are 3 further bedrooms, and a large family sized bathroom. 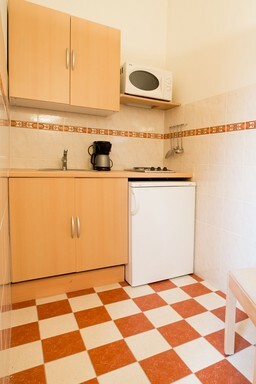 There is one double bedroom, one twin bedroom, and a single bedroom with a shower. There is also access to a terrace on this floor. 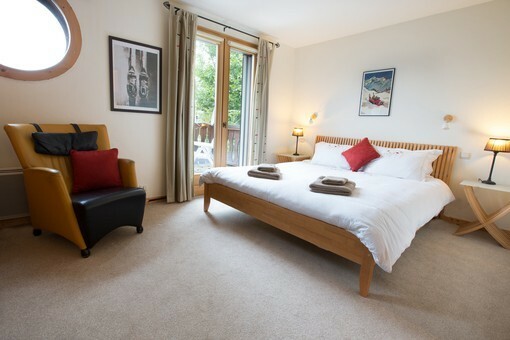 All bedrooms have large windows with stunning views of the mountains. Jo will meet and greet you when you arrive and is always on hand to help with any questions you have. 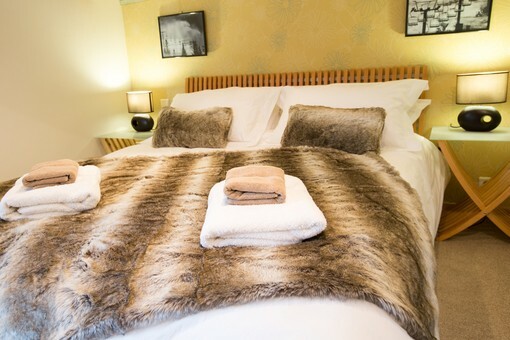 The chalet will be spotlessly clean for your arrival, and all beds made up with crisp linen, cosy duvets and fluffy towels. 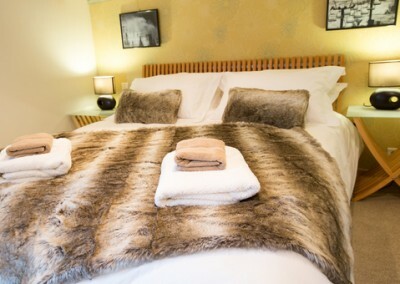 Our aim is to make sure you’ll want for nothing during your stay at Chalet Robri in Morzine. 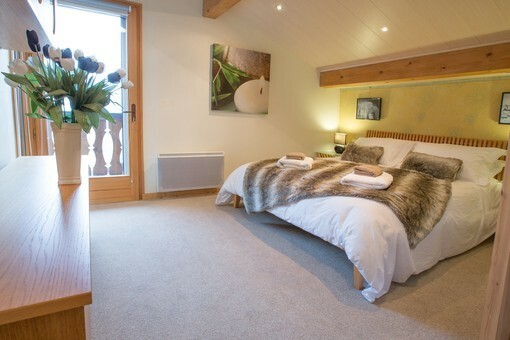 The Family suite with a double bedroom, seperate room with bunkbeds, bathroom & kitchenette. 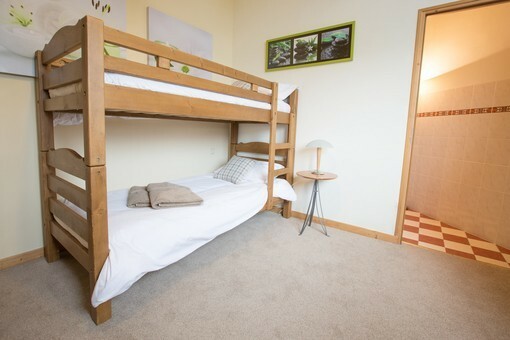 Bunkbed room in the family suite on level 1 with adjacent shower room. 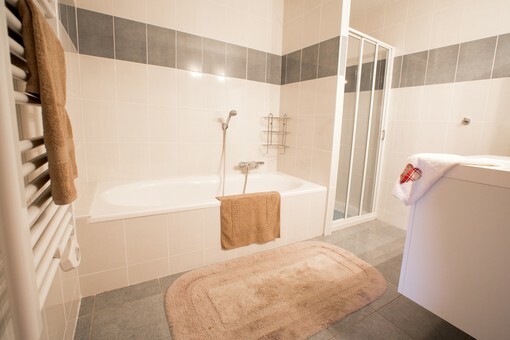 Double bedroom with ensuite bathroom and balcony. Located on level 2. 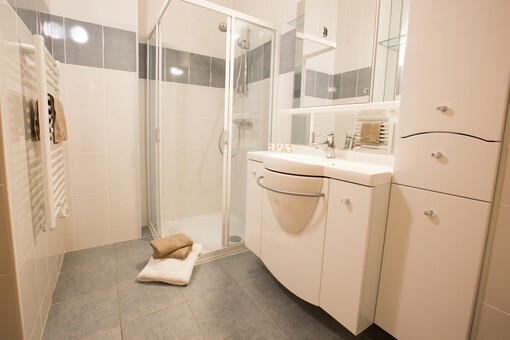 Double bedroom on level 5 with shared family bathroom. 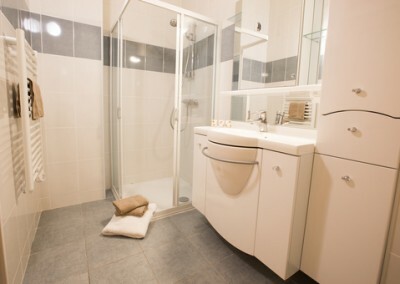 Single bedroom on level 5 with shower. 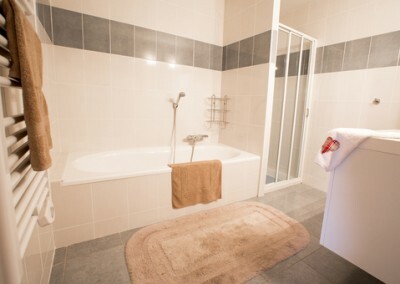 Twin bedroom on level 5 with shared family bathroom. 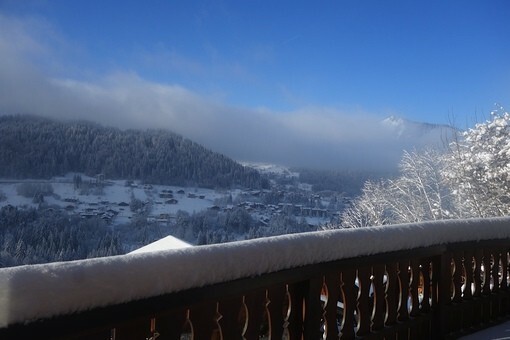 Chalet Robri is located in the hamlet of L’Elé, on the outskirts of Morzine. 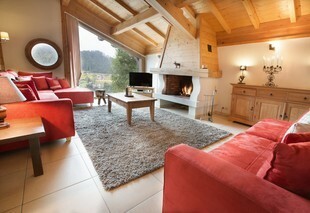 It is 250 metres from the bus route that takes you in to the centre of Morzine or up to the Ardent telecabine. It is a 15 minute minute walk into town from the chalet, and 5 minutes into Montriond, where there is a shop, bar and restaurant. 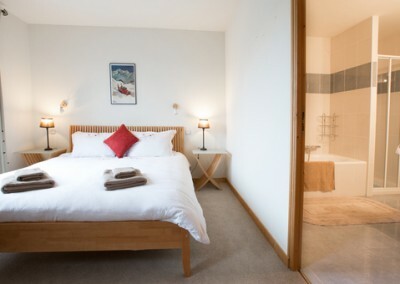 The property was well situated for access to the higher slopes of Avoriaz via the Ardent lift where free parking is availbable – much quicker to get up the mountain than th Prodain lift. 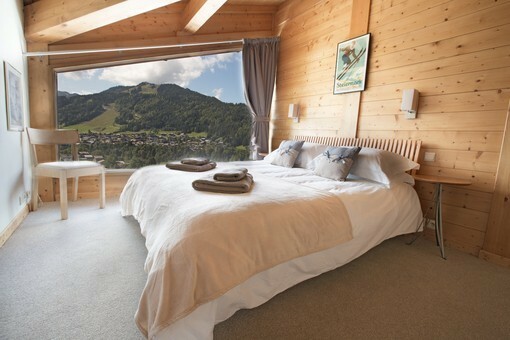 Plenty of space and wonderful panoramic views from the large glass windows in the chalet made for a great stay. Tumble dryer was handy for drying the damp ski kit. Thanks for sharing your property. 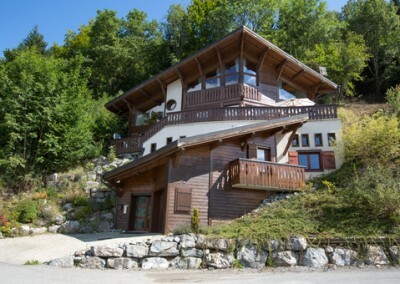 James C.
A wonderful property whose brochure, for once, doesn’t do justice to the absolutely beautiful panoramic views of the mountains from nearly all of the rooms/balconies and the great feeling of space this chalet offers. Superbly equipped. We didn’t want for anything: quality of bedding, kitchen kit, bathrooms, hot water, washing, storage, TV, wi-fi, coffee machines it was quite wonderful and we have no hesitation in recommending this delightful residence. Robin O. Please use the calendar below to select an arrival date. After selecting the number of adults and children and the length of stay, you’ll be shown the price and a link to make your booking online.